A new study concludes that rising temperatures have trimmed rural-to-urban migration within very poor nations while slightly increasing it in middle-income countries. Why it matters: The analysis, released via the National Bureau of Economic Research, provides a deeper understanding about how warming has already begun affecting human movement — and will in the future. 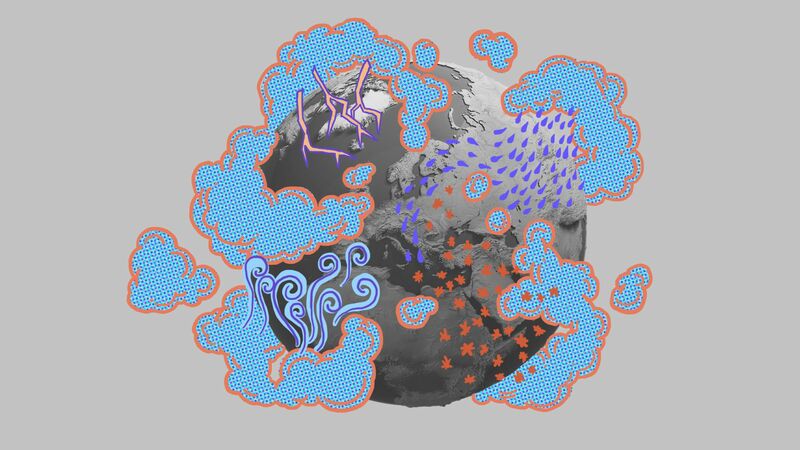 The impact: "We project that expected warming in the next century will encourage further urbanization in middle-income countries such as Argentina, but it will slow down urban transition in poor countries like Malawi and Niger." What they did: Researchers with UC Davis and the University of Idaho looked at migration data for huge numbers of relatively small geographic "cells" worldwide from 1970 to 2000. They combined it with other data on temperatures, population and precipitation in the same regions. They broke up countries into 3 wide groups: nations in the bottom 25% of per capita GDP, the middle 50%, and the top 25%. What they found: The middle-income group showed the most internal migration to cities. A big takeaway: Declines in rural productivity, including lower crop yields stemming from climate change, have different effects on poor vs. middle-income nations. Why? They see a vicious cycle in very poor places: Hotter temperatures cut rural productivity, making migration costs even less feasible. "On the other hand, rising temperatures increase out-migration from rural areas in middle-income countries because temperature shocks widen the rural-urban income gaps, which work to strengthen individuals’ incentives to migrate, once they can pay for migration costs," the study states.